Document any items you or your employees may have accidentally broken. 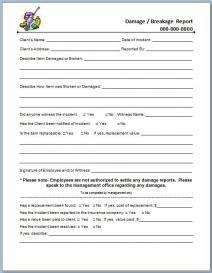 Use this form to document any items you or your employees may have accidentally broken. List its replacement value or remark if you found a replacement. Great for insurance purposes.